Almost all Sunday nights I try to grasp onto that little last bit of time. The time before I have to go to bed so I can get up Monday morning for another week of work. I imagine that most folks who don’t have their dream job go through similar rituals. It’s not like I am just staring at the clock watching the minutes wind down before bed time. I do, however, regularly check the time to see how much longer my weekend will be stretched. Do you realize there are some individuals that love their jobs so much they look forward to Mondays? Warren Buffett is a great example. There is a reason a book about him was written titled “Tap Dancing to Work.” I long for the day in which I can feel the same way. Most people would say, “of course he loves his job, he has full control and is one of the richest men on earth.” Just think about it though; how many of you would still be going to your job if you had a few billion in the bank. And if you know much about Warren Buffett you will know that he made plenty of millions very early on in his career and easily could have retired at the age of 30. He didn’t though. He loved his job that much already. So here I am, typing away and trying my best to slam on the clock breaks. Time, as always, is the most precious commodity each and every one of us has. Every day that commodity gets drained a smidgen more. 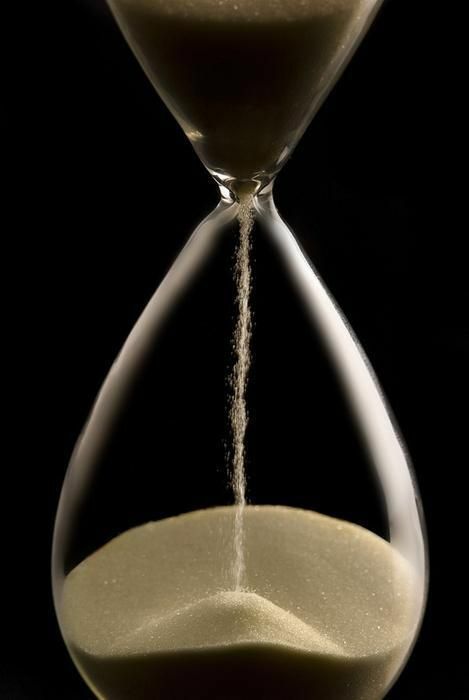 The worst part about our time is, we truly don’t understand how much we have left before the time well runs dry. It’s unknown exactly like our death is unknown. If I am trying to depress myself it is definitely working. It’s time to be done so I can savor the last sweet morsels of this Sunday night’s time. I have to admit that one of the funniest stories I have heard all year is the petition put together to get Justin Bieber deported from the United States. While it made me laugh out loud, what surprised me the most is that over 100,000 people signed the petition. I don’t like Justin by any stretch of the imagination but a petition to deport him is ludicrous. And think about the wasted hours that can’t be recovered for everyone filling out the petition. Sure I know that online petitions are easy to fill out but if each of the 100,000 people spent just 3 minutes filing out the petition, than 300,000 minutes were spent on something that they new would have no impact on anything. If you want to break it down into wasted hours, 300,000 divided by 60 is 5,000. You heard it right, 5,000 hours were spent signing a petition to remove Mr. Bieber from the country for nothing more than being an extremely popular, very annoying, spoiled little super star. So how about days?? 5,000 hours divided by 24 equals out to approximately 208 days. 208 days without sleep I might add. The numbers provided were only based on the 100,000 minimum signatures required for a response. The actual petition to date has 273,968 signatures. I will let you do the math on that one. The main reason the petition was started is because the creators knew that any deportation petition acquiring 100,000 or more signatures requires a response from the US Government. Here is the even funnier part of the whole story. The US Government just stuck their tongues out at the signers and said nice try bozos. Ok, that is not exactly what they said. They basically said they would not comment and used the statement as a commercial to discuss our broken immigration system. So who won this whole battle? Justin Bieber and the US Government. Justin Bieber got more attention which will likely allow him to become more famous and more successful. Essentially free press. And the US Government got an opportunity to bring more attention to the immigration debate. In the end, Justin Bieber gets to live another day in the US. While I won’t calculate the money spent based on the average per hour salary of a US Worker, I can tell you that those signers did pay a huge advertising bill for Justin Bieber and the USA. Hopefully cerebrum flowers are just May away. than the worn down rubber wheels of a 57 Chevy. the hidden gift city behind it. and hold my dreams hostage. destroying the ever present evil. I have been consuming truck loads of playoff hockey the last two nights. While I love watching most sports, especially postseason, I probably enjoy watching the NHL Postseason as much as any. The level they escalate the game to and the amount of continuous action is unparalleled. The hitting is always fun too. The other thing I enjoy is the refs’ ability to understand the impact of any penalties called and to try their best to just let them play. The refs do avoid the measly calls that are often made in the regular season. In just two nights I have seen three overtime games. One even going into triple overtime. With one goal handing in the balance to decide who wins the game after three periods of gut wrenching, exhaustion causing, no holds barred play. Even if you don’t usually watch hockey I encourage you to try watching at least one NHL Playoff game. I have heard all the reasons why people don’t like watching hockey. From not being able to follow the puck, to not enough goals scored, to fighting being the only fun part to watch. Look closer and dig deeper. 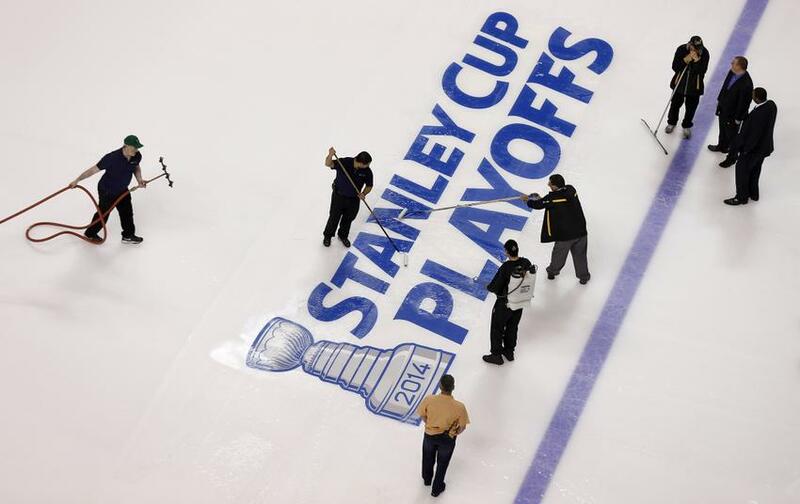 When it comes to playoff hockey, NHL Postseason is some of the best. Where I work they have a gravel path around the building. It’s nice to work for a company that cares enough about its employees physical health to build such a walking path. This morning while taking a short 15 minute break to walk, I came upon one of the few benches that are on the path. Walking closer I decided to sit down on one of them and just check the world of social media using my phone. I started to get sucked into, what I like to call, the social media vortex. Upon looking down at my phone I could see past it and caught a glimpse of a small stream of gravel moving. “Am I hallucinating?” I said to myself. That thought quickly faded when I realized I was seeing a stream of very small ants marching in line like a perfectly trained band. Believe it or not, I started staring and watching closer. Microscopic nature was actually slowly rescuing me from the vortex. Watching these ants for a few minutes brought some welcomed mindfulness to my morning. It’s amazing how quickly watching some microscopic bugs can relax you. If you can get past the ick factor, which is pretty easy for me, you might be able to realize that ants are amazing. The distance they can go in very short period of time almost seems impossible. In my few minutes of watching I saw an ant probably go a few feet. If you think about it, its almost like me running 3 miles in a few minutes. It’s miraculous! Even more miraculous is that a few of the ants were carrying, with ease, little nature debris bigger than their heads. Most of us already learned long ago in school that ants do this but watching it closely really amazed me. I can’t remember the last time I had watched ants for that long. Usually we only watch for this long when we are trying to find the source in our kitchen so we can ultimately squash the ant band. Next time you see a line of marching ants, take a few moments to watch them closely. You may be amazed at the feats they can accomplish along with the mindfulness and relaxation it brings to yourself. Here I am half way through my April Blog-A-Thon. For those of you just joining for the first time, thanks for coming. I have been in a self imposed challenge to post one blog everyday for the month of April. 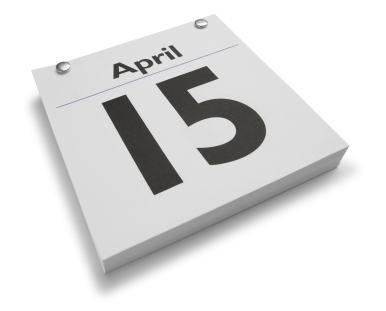 And this being April 15th is my 15th blog, which puts me half way to the finish line. Thank God I already finished my taxes two weeks ago. I am beginning to understand what a marathon runner must feel in exhausting mile 13. While there is very little physical effort in writing everyday for 30 days, there is certainly a high amount of mental strain and necessary discipline to be successful. My feet are not running a marathon but my neurons are. Mental fatigue is certainly gaining traction and the need for synaptic Gatorade is setting in. I am still also feeling the effects of writing everyday with very little proof that anybody is reading my posts. Sure there have been a few likes and followers here in there and I thank those who have done so. I still, however, feel trapped in the Pump Up the Volume movie. Its just too bad there is no Eat Me Beat Me Lady to make things just a tad more interesting. If you haven’t seen the movie, just pretend you didn’t read those last two lines despite how absurd they may seem. Or better yet, watch the movie and come back to the post to laugh along with us. If I was smart, I would have mapped out exactly what I was going to write about everyday for 30 days prior to starting this challenge. That, however, is just too much planner for a procrastinator like me. Although I think my posts are better because they are more stream of consciousness writing rather than bland preplanned blubber. Yes I did just figure out a way to include the word “blubber” in my blog post even if it doesn’t fit there very well. What can I say, no glove ever fits perfectly. I always used to kind of dislike those YouTube videos where they encourage you to comment below but I am beginning to understand their constant directional verbiage. They are just trying to make sure they are not talking to the air. At this point, I have done enough pleading. Even if nobody comments, follows, or listens anymore I will at least be a better writer at the end of these 30 days. So do I sound too much like James Altucher? If so, I take that as a compliment. And with that, I am half way there. Feet, uh I mean, mind don’t fail me now. 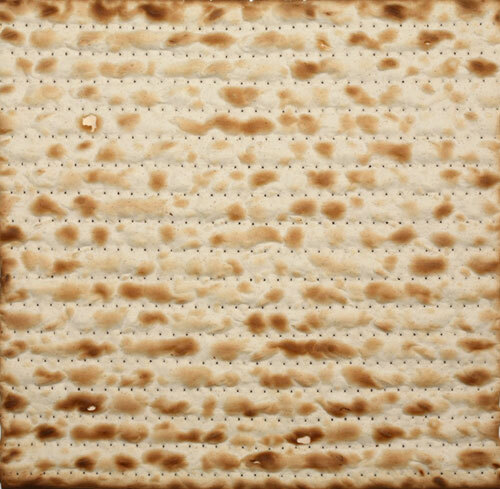 As you may or may not know, tonight is the first Seder for the start of Passover. This is the Jewish Holiday that celebrates the Jewish people being liberated from slavery. Sure I am Jewish and sure I celebrate it but there are a few other very interesting coincidences that I wanted to bring to your attention. While I won’t go into the reasoning since you can look it up on The Google, there is a recurrence of the number 4 in the Seder. Well today just happens to be 4/14/14. A lot of fours, huh? Also, tonight just happens to be a full lunar eclipse in which the Earth will passover the Moon and block the sun. Ok, so it is not really passing over since the earth is technically passing between the moon and the sun. Stop getting technical as you are ruining my blog post. I always find it fascinating when these types of coincidences occur. Even though if you have enough Seders, enough dates, and enough eclipses, at some point they are bound to coincide. It’s just built into the structure of an infinite universe. Even though I have been blogging like a mad man I have yet to see many comments on my posts. For the few of you that have already commented on one of my posts, I thank you a ton. You make me feel like I am human and not just talking to myself. With that, I am calling on all shy lurkers to leave a comment and let me know what coincidences you have noticed that your find fascinating. This is your chance to wow me with your strange but true experiences. I look forward to seeing your comments. 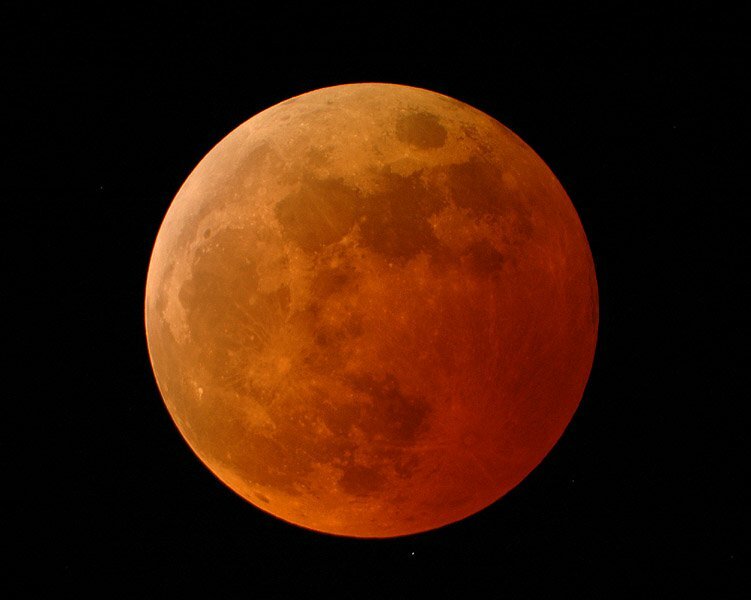 Enjoy the rest of your 04/14/14, have a great Passover (if you celebrate), and enjoy the Eclipse tonight. At times the violence in the world seems overbearing and extremely powerful. Even when movies like “I Am” come out and discuss how we are all interconnected and living with one another in peace and harmony is in everybody’s DNA. Even when a genius college student decides to teach a homeless man to write computer code and create his own App to help reduce carbon emissions and save the environment. Even when an 80 year old woman looses her husband and finds rebirth in her lost art of dancing. Who is going to win the war? The societal war between harmony and conflict. Would the world be a better place if everybody took up the practice of meditation. I have recently started meditating again. While I have done it periodically in the past I am trying to take my practice more seriously this time around. Even my daughters have become interested in doing short bursts of sitting meditation. At 9 and 13, even they can feel the relaxing and peaceful nature it brings to them. Is the true reality revealed in that there is even an interconnection between good and evil? I mean how can we understand what peace is if we don’t have war. Maybe the opposites are compulsory the way the poles of the earth are. While I don’t have all the answers, I hope I have the courage to ask the questions that lead to the peaceful answers. Andy Weir wrote a short story called “The Egg” that sums up this dichotomy in a beautiful and succinct manner. While I know I have referenced it before, it still is embedded in my brain. Even if it may only be utopian fiction in Andy’s mind it gracefully melds the evil and good of the world that I struggle to comprehend. People probably don’t realize but driving is actually a privilege not a right. Rights you automatically get as a person where as privileges you have to earn. You have the privilege to drive because you passed your driving test and don’t get into too much trouble when driving. Those that do get into too much trouble have their licenses revoked. 1. Tailgating – This is especially frustrating when the driver is tailgating somebody in the right lane. If you want to get over, move to the left lane which is also known as the fast lane. Also, do these drivers not realize that the closer they drive to the car in front of them the more risk they are putting themselves in. In the case of a quick stop they are going to need to be laser quick on their break to avoid a major accident. Leave some room folks and you just may save your life and the life of the individual driving in front of you. 2. Driving Through a Red Traffic Control Light – A red light is a red light. Just because it maybe only a traffic control light doesn’t give you the right to blow right through it if there are no cars in line. Any red light you run is against the law, period! 3. Turning in Front of An Oncoming Car at the Last Minute and Accelerating Slowly – I can understand at times judging things wrong or even being a little bit of a hurry and trying to turn quickly before an oncoming car gets too close. It’s not exactly safe to do this anyway, but if you are going to do it accelerate quickly after turning. If you are in that much of a hurry that you need to turn in front of an oncoming car than you should be in a hurry enough to accelerate quickly. 4. Merging Onto the Freeway Slowly – The freeway is a fast moving highway without any lights. In order to merge properly, you need to gain enough speed to match the traffic on the freeway. I have even seen cars that ultimately drive fast once on the freeway, merge slowly. If you are going to drive fast anyway, why not do it before you have to get on the freeway? 5. Bicycle Riders Who Don’t Obey Traffic Laws – While this technically doesn’t qualify as a driving pet peeve it’s my blog so it’s my rules. Have you ever seen those bike stickers that say “Share the Road?” While I agree wholeheartedly, it drives me crazy (pun intended) to see somebody on a bicycle just blow through a red light because it is clear. Or a bike rider who doesn’t use their hand to signal when they are turning. If you want us car drivers to share the road with you then you must obey the same rules. There you have it. My top 5 driving pet peeves. Next time you are out driving your car, please remember to be safe and obey the rules. Driving may seem like something mundane you do everyday but an accident due to lack of safety can quickly ruin a good day and maybe even a good life. My mind is exhausted from all the political bantering that goes on here. From people mocking our President, to political posts on Facebook, to political ads on TV. Everywhere you turn, politics this, bantering that. Heck, I may even be a hypocrite by writing about there being to much politics. Is that in itself politics? I try my best to take the high road when it comes to politics. In other words, I try to watch from a mountain top afar looking down at all the hikers who climb, crawl, and scratch to be the one single voice at the top of the hill. When you get right down to it, I really feel its just a big game. The politicians put on a big show for the camera and then meet afterwards for drinks and a cigar. Reclining and laughing at all the little people they control and the worthless policies they create. I want to be the Crocodile Dundee who doesn’t have a voice because nobody out in the bush is going to hear him anyway. And the land we are bickering about belongs to his God Mate and not us. Now that is a beautiful view. But then again, is that being a view in itself actually politics? So I have twisted my brain into enough knots for one night. 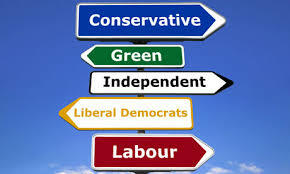 Before the next time you have the urge to post some political banter on Facebook, think about who truly is listening. You may be surprised to find out that it is actually nobody.